Comfortable log cabins are located on each side of the river within 300 yards of the main lodge and are spaced well apart to insure privacy. All cabins have private bathrooms and electric heat, most have wood stoves. The main lodge has a large stone fireplace, dining room, sitting rooms, library, pool room, terrace and video room. There is a barbecue pit nearby for cookouts beside the river. 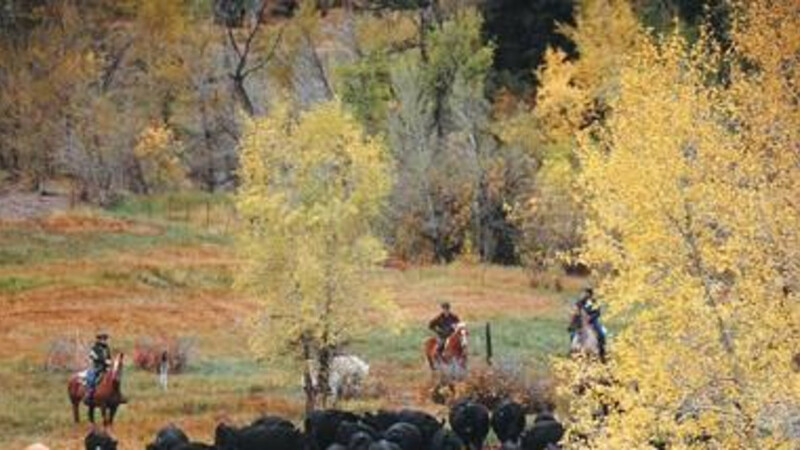 A family-owned working cattle and dude ranch raising Black Angus cattle and purebred Arabian horses since 1971. Featured in the New York Times best selling book, "1,000 Places To See Before You Die." Located in a remote mountain valley with spectacular views of perpetually snowcapped mountains and a sparkling stream runs through it. 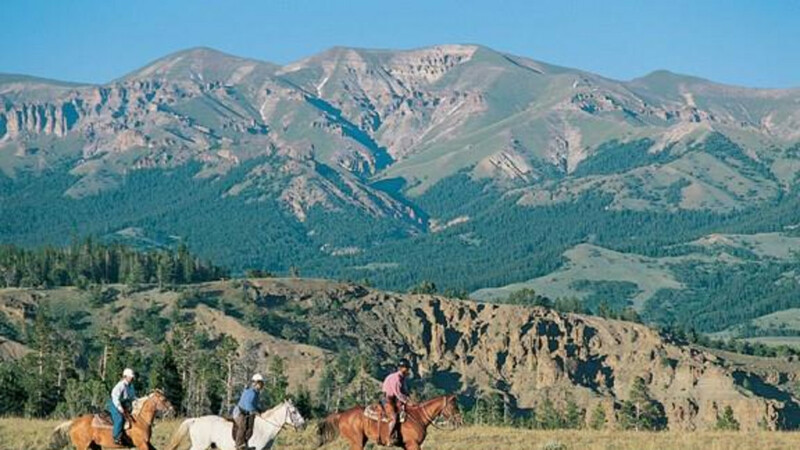 While horseback riding is their main focus there is excellent fly fishing for trout on the ranch and nearby. Many trails for hiking and Yellowstone Park is close enough to make a visit there in a day. The clientele is international and they give particular attention to their cuisine and wine. 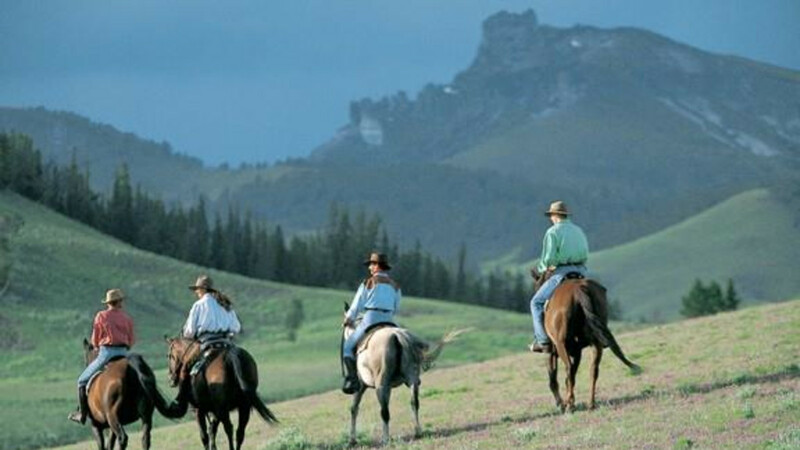 Outstanding horseback riding program and offering both Western and English saddles. A broad selection of horses, many of which were raised and trained on the ranch. 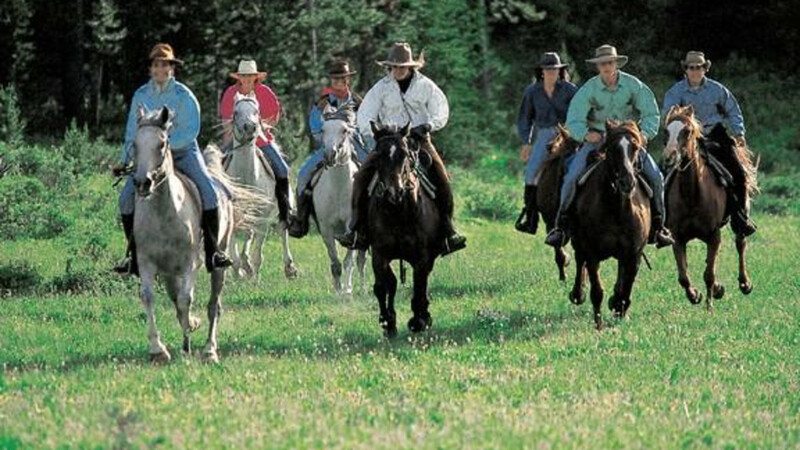 Activities include trail riding, cattle work, team sorting, cross country jumping for advanced riders, complimentary lessons from certified instructors and pack trips. Well trained Welsh ponies for children. The usual program is to ride for two - three hours in the morning, return to the ranch for lunch and then ride out again in the afternoon for two - three hours on a fresh horse. They usually take picnic rides on Sat. Rides are divided into small groups according to skill. 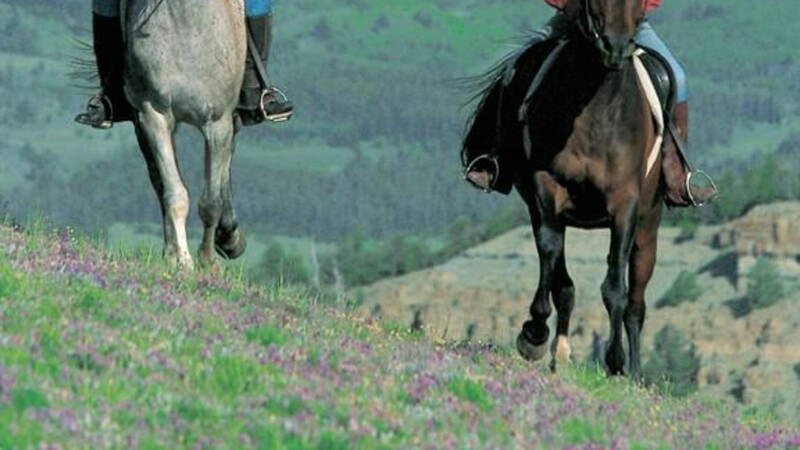 Advanced rides usually include fast gallops over uneven ground. One can ride in any direction and the terrain is extremely varied; from sagebrush flats and badlands to alpine clearings and forest. Purebred Arabian horses and crosses are raised and trained on the ranch. Horse lovers trip of a lifetime! Paradise on earth for horse lovers!